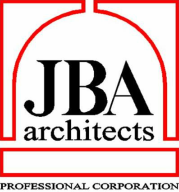 Greg received his BS in Architecture from Ohio State University in 1988 and joined the JBA staff in 1989. He is an Accredited Professional of the United States Green Building Council, and a member of the Construction Specification Institute. Tom received his BS in Architecture from Ohio State University in 1976 and joined the JBA staff the same year. Joe received his BA in Industrial Design from Brigham Young University in 2005 and his Masters of Architecture from Ohio State University in 2012 and joined the JBA team in 2017. Karen received her BFA in Interior Design from Virginia Commonwealth University in 1992 and joined the JBA staff in 2011. She is a member of the International Association of Color Consultants & Designers. Tim received his degree in Design Engineering from Start State College in 1988 and joined the JBA staff in 2005. Ryan received his degree in Applied Science from Central Ohio Technical College in 2007 and joined the JBA staff in 2007.